Shippers hold items in place to prevent slipping. 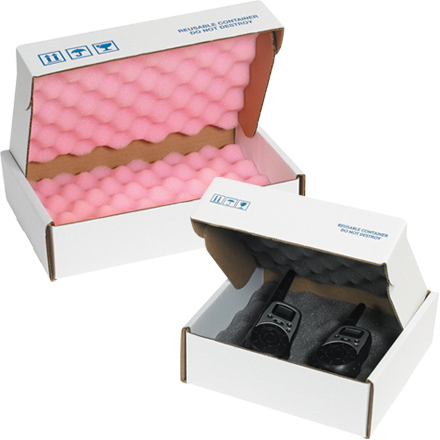 Convoluted foam inserted into 200#/ECT-32 Corrugated Shippers. Shippers arrive with foam glued to the top and loose on the bottom. Locking tabs provide added security.